In part one, we dove right into a variety of shooting targets, and in today’s post, there are many more to explore! 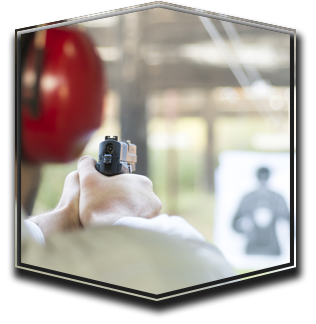 Liberty Firearms Institute wants to see your shooting skills thrive! Join us at our 12,000 square foot indoor shooting range to perfect your handgun and rifle skills, and everything in between! If you’re into rifle shooting, this target is for you! 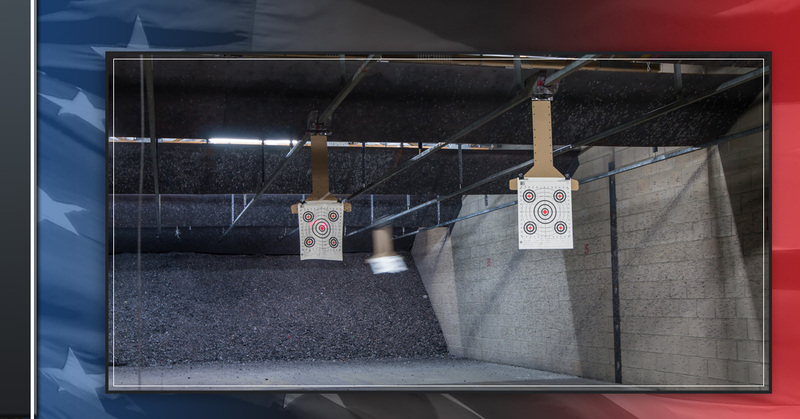 This is commonly found at indoor shooting ranges and has a large center target with four smaller targets placed in the corners for enhanced accuracy practice. The targets are on the foreground of a grid are helpful for zeroing in on and taking precise measurements on groupings. Metal pop up targets are fun to practice with because they’re — almost — instant gratification. Nothing sounds or feels better than hearing the plink and watching your target fall back…only to pop up and be ready for another round. These targets are nice because they can be reused, and are no more expensive than a pack of disposable targets. These extremely durable and versatile shooting targets are great for practice for virtually any type of firearm. The pin target gets its name because it resembles a bowling pin, and no matter how much you shoot and try to demolish the targets, they’ll just pop back up and retain their shape. Get accurate with smaller pin targets or practice distance with larger ones, as they’re available in a variety of sizes. We can’t mention shooting targets without including zombie targets! These targets actually preceded the zombie trend and were being created long before the fad. These targets allow for a little more improvisation and provide a nice break from other more fixed paper shooting targets. So, have fun with these zombies, and who knows, maybe the zombie target practice will prove useful one day! If you’re a hunter enthusiast or preparing for next year’s big hunt, the X-ray targets will provide you with excellent target practice. These targets feature the vitals of the animal so you get a better sight and allow you to determine what range you’ll need to be at to take the game down. You can also use these to help set up your shotgun for the field. Most people are familiar with this target, as it’s a classic for handgun shooters. You may recognize it from the movies or TV because it’s used for law enforcement training, shooting qualifications, and in concealed carry training. The target features a bullseye with scoring rings to track and score your improvement. A shooting target guide wouldn’t be complete without mentioning the bullseye. This shooting target is a simple design with scoring rings and makes it easy for shooters to test their skill and accuracy at varying distances. Create a friendly competition with friends and family to test who has the best shooting precision! Finding the target(s) you like best will take time and trying a variety out. There are more specific targets for the type of shooting you’re doing — handgun vs. rifle — but any consistent target practice will sharpen your skills and make you a better, more accurate shooter. Ready to improve your skills? Become a member at LFI today!